Better than new remodel! Unrestricted country living 10 minutes from Asheville. Hardwood&tile throughout.Master bath w/lg new walk in shower+2 addl bdrms w/baths.New stone FP in lg great rm.Media bonus rm on 2nd level.Dbl garage w/addl overhead storage.Mature older trees. Great surrounding properties.New HP,Roof. 362 square foot front deck. Directions: Highway 74 East to Fairview. Right on Emmas Grove Road. Right on Number Nine. House on right. 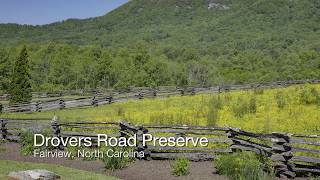 Located halfway between Asheville and Chimney Rock on US 74A, an estimated 3,000 people live in the census-designated community of Fairview, NC. Settled in the late 18th century, Fairview was called Cane Creek until the early 1800s. Cane Creek Baptist Church was established in 1806 and is one of the oldest churches in Buncombe County. With space to roam and proximity to the region’s hottest attractions, Fairview is the site of plenty of new development. The area offers large lots and community amenities like Cane Creek Pool, which includes a swimming pool, soccer fields, picnic sheds, and concessions. It’s the perfect combination of rural and urban adjacent. Beverly-Hanks has an office conveniently located nearby in South Asheville. If you're searching for homes and land in Fairview, our expert real estate agents are available to help. Your Beverly-Hanks & Associates REALTOR® is backed by an outstanding support staff and committed to the highest standards of customer service. Find the homes in Fairview that allow you to Live the Life You Choose. Click below to search Fairview real estate for your ideal listings. Fairview offers many amenities within town or within minutes, including public, private, and charter schools; an extensive county library system; access to state-of-the-art medical facilities, including Mission Hospital, the largest in the region; and innumerable shopping, entertainment, and dining options. Fairview is also conveniently located in proximity to Pisgah National Forest, Chimney Rock State Park, and the Blue Ridge Parkway, a sightseer's and cyclist's haven. Asheville is the largest city in Western North Carolina, but surrounding towns and neighborhoods in Buncombe County like Leicester offer small-town flair and varied amenities. The four-season temperate climate with average snowfall of only 13 inches makes year-round living easy. Average elevation is 2,165 feet above sea level with surrounding mountain elevations of up to 6,685 feet at Mount Mitchell, the highest peak east of the Mississippi River. Because of this broad range of elevations and corresponding climates and plant growth, the area is one of the most biodiverse in the United States and the world. Fairview residents pay property taxes based on their location, as totaled below. Tax rates are per $100 of assessed valuation. Fairview is a growing mountain community. Read about recent news, events, and real estate market updates for the area on the Beverly-Hanks blog.